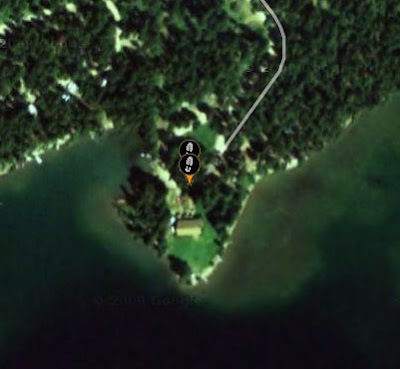 Here's a satellite image of where they are camping tonight. Wonder if there's a payphone? Great to see your 'SPOT'! Keep those tree trunks pumping botha! Cheers, Jordan aka the fat office guy who wishes he could do what you are doing! Heather says hi and sends her love and good karma too!